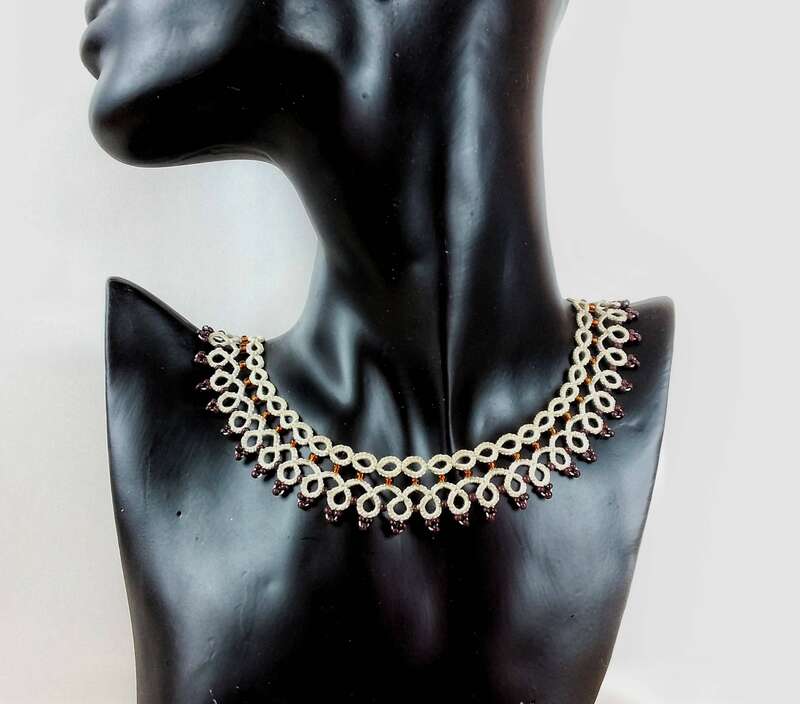 Ethnic creme lace beaded collar necklace. 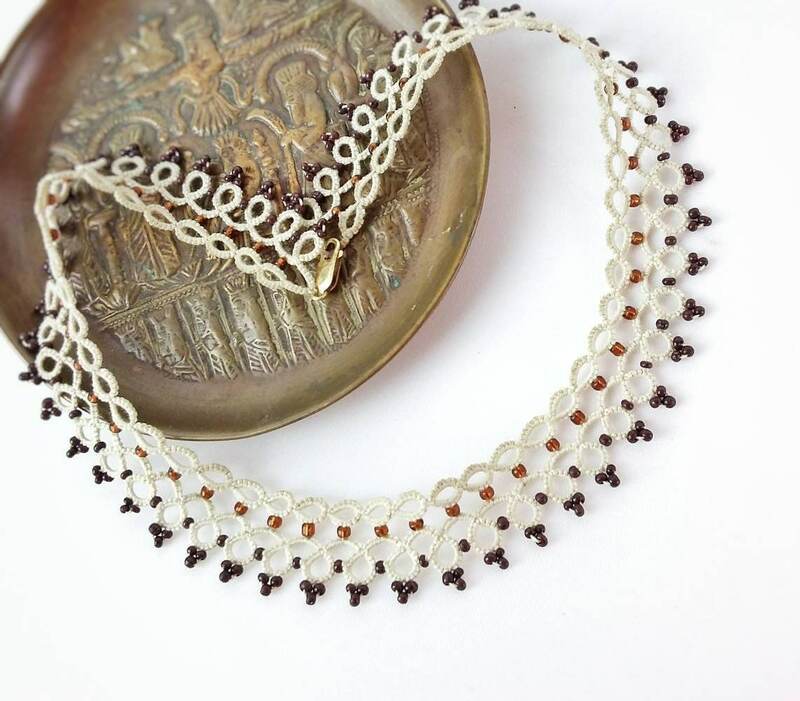 Bib necklace with cotton tatting lace and brown copper beads. Boho chic gift for her. I took the influences of tribal African and Egyptian jewellery when I designed this ethnic collar necklace. I nevertheless wanted to keep a simple modern feel that could be worn everyday. 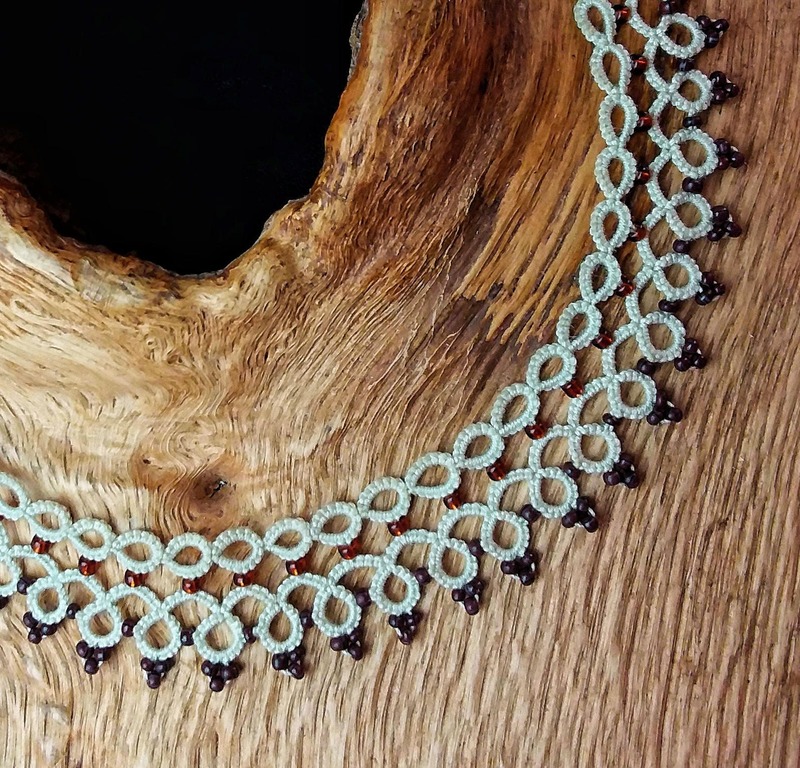 The handmade tatting lace in creme has copper glass beads woven into the necklace and is finished with a gold plated silver lobster clasp. • gold plated silver lobster clasp. If you wish this pattern in different colour combinations please contact me. Tatting lace is made from knots and loops formed by winding thread around the hands using a shuttle. 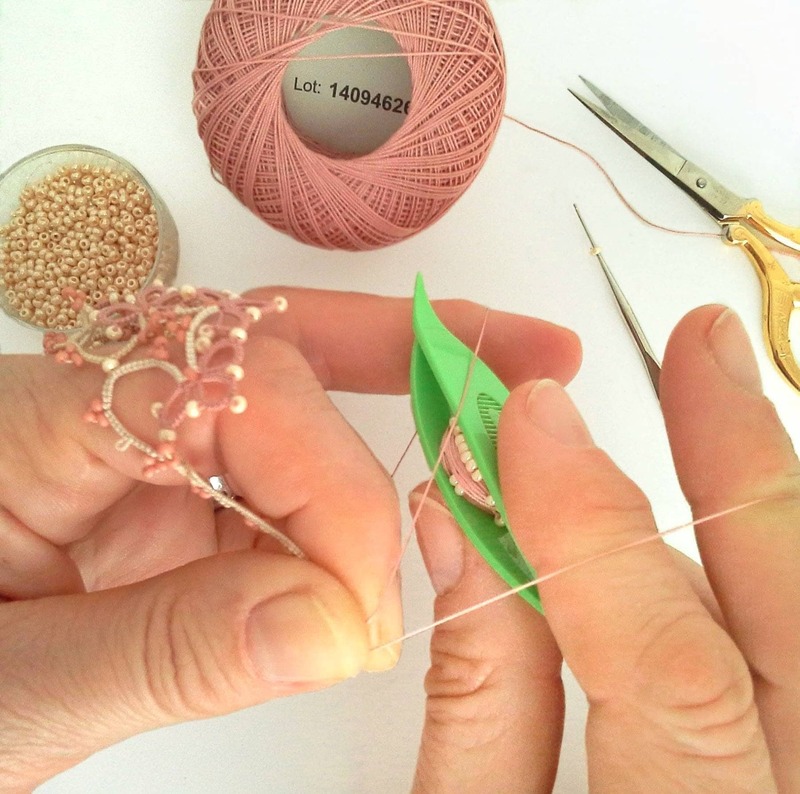 The lace is intricate yet sturdy making it perfect for jewellery making. 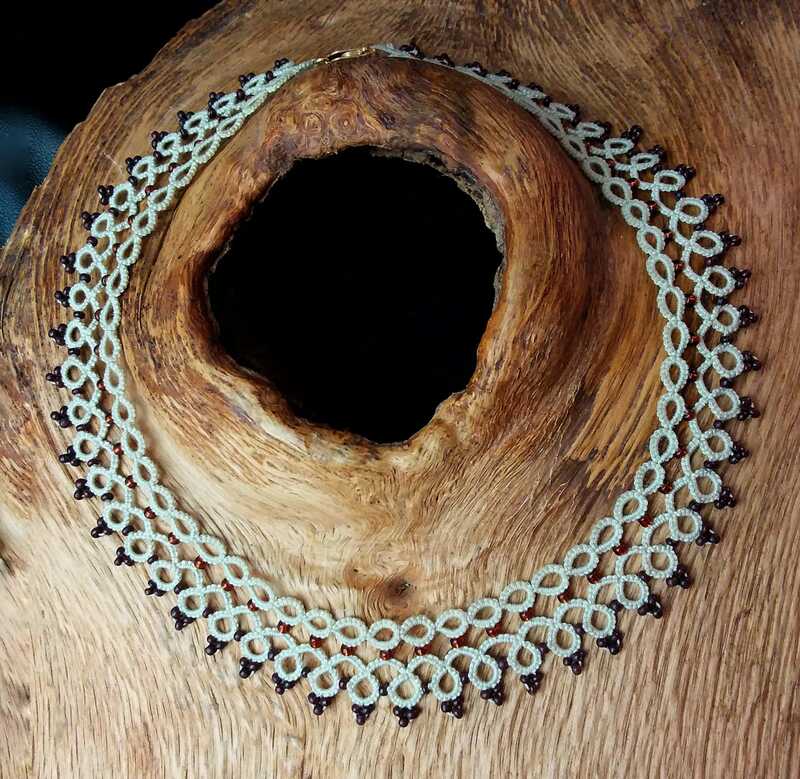 Tatting lace jewellery is also lightweight making it comfortable to wear and can only be made by hand so each piece takes on a unique character. 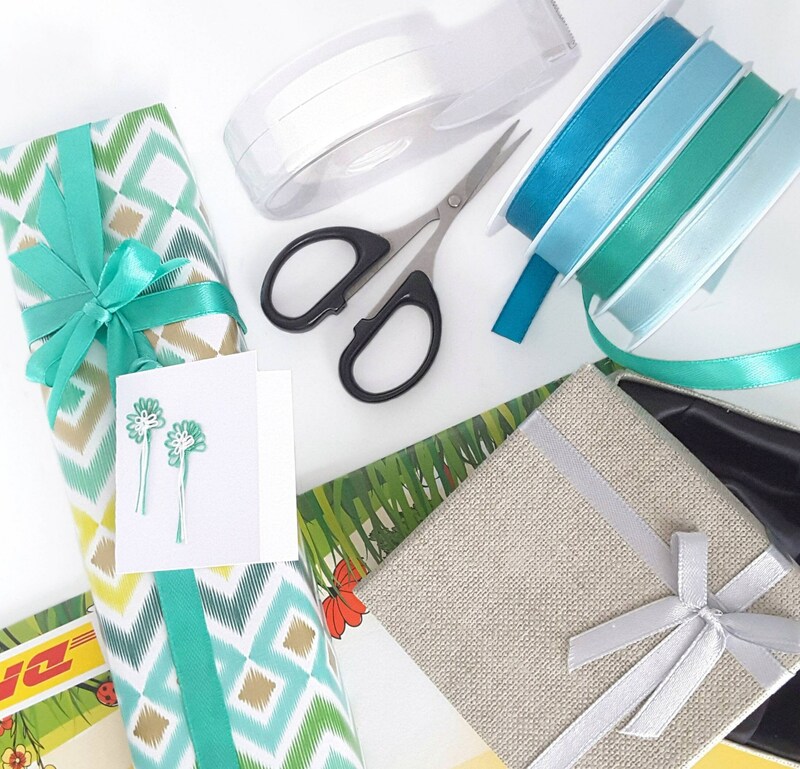 To fulfil your order you must provide me with certain information (which you authorised Etsy to provide me with), such as your name, email address, postal address, payment address, and details of the product that you're ordering. You may also choose to provide me with additional personal information (such as for a customised item), if you contact me directly. • to provide my services, such as to fulfil your order, provide customer support or settle disputes. • if necessary to comply with a legal obligation or court order or in connection with a legal claim, such as retaining information about your purchases for tax purposes. • Compliance with laws - I may collect, use, retain, and share your information if I have a good faith belief that it is reasonably necessary to: a) respond to legal process or to government requests; b) enforce my agreements; terms and policies; c) prevent, investigate, and address fraud and other illegal activity, security, or technical issues; or d) protect the rights, property, and safety of my customers or others. I may store and process your information through a third party hosting services in the US and other jurisdictions which have different data protection and government surveillance laws than your jurisdictions. If I am deemed to transfer information about you outside of the EU, I rely on Privacy Shield as the legal basis for the transfer, as Google Analysis is Privacy Shield certified. • Object - You can object to i) my processing of some of your information based on my legitimate interests and ii) receiving marketing information from me after providing your express consent to receive them. I such cases , I will delete your personal information unless I have compelling and legitimate grounds to continue using that information or if it is needed for legal reasons. • Complain - If you reside in the EU and wish to raise a concern about my use of your information (and without prejudice to any rights you may have), you have the right to do so with your local data protection authority.